Happy Tuesday, FSXers! This week we have two incredible add-ons newly available for your simming pleasure from the FSX:SE Steam store. Firstly, we have Pushing The Envelope for Test Pilot, which is a set of 5 challenging missions for FSX: Steam Edition. Each will push your abilities to the limit, featuring a wide variety of aircraft and locations across the globe. You will need considerable skill to complete these flight tests, ranging from a tail scrape test in the 747 to a high altitude demonstration in the F/A-18. These missions will demand great skill and ability, and a good background knowledge of aviation theory will be of great benefit. Some complex topics will be discussed such as aircraft performance and stability. Further reading would supplement this series and expand your flying skills and knowledge. Produced by a real-world airline pilot, missions are accompanied by full audio commentary, special effects, pre-flight briefing, many additional scenery objects and rewards. Put your piloting skills to the test with this fabulous mission pack from Test Pilot! Click here to visit the Pushing the Envelope Steam page. 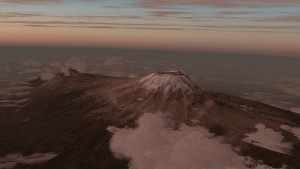 If you are hankering for a new scenery package this week, look no further than Kilimanjaro Airport (HTKJ) for FSX: Steam Edition by teamover at Aerosoft. This fantastic add-on covers the airport and the immediate surroundings, and also includes detailed models of Mount Kilimanjaro and Mount Meru which dominate the area. These majestic landmarks provide an exotic and adventurous backdrop for a variety of aviation experiences, from commercial flights to bush piloting. Kilimanjaro Airport is the starting point for safaris in the surrounding national parks and a well-known destination for major airlines like KLM, Condor, Turkish Airlines and Qatar Airlines. Not only is Kilimanjaro a popular hub for long haul flights, but also as a stopover point when flying between Europe and South Africa. Despite its small size, this airport can handle aircraft as big as the Antonov 124! 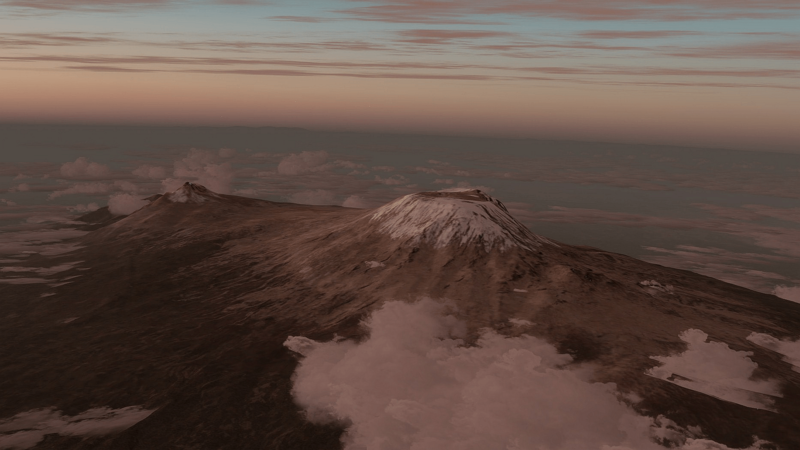 As the surrounding area is quite flat, Kilimanjaro has been recreated with thousands of small details and animations. The innovative use of 4K textures makes a big visual difference without compromising frame rates or memory. Click here to add this gem of a scenery package to your FSX: Steam Edition collection today! Get Your Flight Training On With FS Academy! Climb To New Heights With Lukla X!